The design is printed on a pre shrunk Silver Gray 100% Cotton T-shirt. 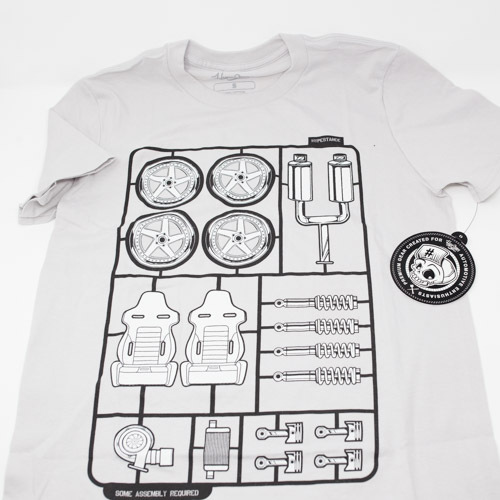 The front of the shirt is a 2 color graphic image with the phrase "Some Assembly Required" at the bottom of the design. T-Shirt: Silver Gray 5 oz 100% soft spun cotton jersey Set-in-rib collar with shoulder to shoulder taping Preshrunk Body Width: S: 18" M=20" L=22" XL=24" 2X=26"